Good news. 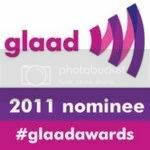 GLAAD has launched a new initiative to educate the media about the history and positions of prominent anti-gay activists. The "Commentator Accountability Project" has the stated goal to deliver "critical information about frequent anti-gay interviewees into the hands of newsrooms, editors, hosts and reporters." Audiences need to be aware that when they’re not talking to the mainstream media, these voices are comparing the LGBT people to Nazi Germany, predicting that equal treatment of LGBT people will lead to the total collapse of society, and even making accusations of satanic influence. The Commentator Accountability Project is bringing all of these statements to light, while calling attention to the sentiments behind them. We will show that the commentators who are most often asked to opine on issues like marriage equality or non-discrimination protections do not accurately represent the "other side" of those issues. They represent nothing but extreme animus towards the entire LGBT community. The initiative includes background information on about three dozen anti-LGBT social conservatives. Many names should be familiar to R20 readers, such as Maggie Gallagher, Harry Jackson, Ken Hutcherson and Bob Vander Plaats. Contact GLAAD if you see any of these commentators on television. "Hate is not an expert opinion. In most cases, news outlets invite reputable experts to speak on the subject at hand, but when talking about LGBT issues, open hostility and anti-LGBT bias seems to be all the credibility required. This project holds these so-called 'pundits' accountable for the extreme anti-LGBT rhetoric they continue to spread. ... These activists have the right to recite their anti-LGBT talking points, but it is important to expose the questionable and often hostile rhetoric that passes as punditry when so-called 'experts' speak out against the lives of LGBT people on the air or in print." Good As You's Jeremy Hooper worked as a consultant with GLAAD on this project. Bravo and congrats to all. It's about time some put dumb-dumb from Prince Georges County, Maryland on blast of his attempts to obstruct progress in the District. His attempts to manipulate democracy in another jurisdiction is appalling and he needs to be taken to task for be a Grade A a-hole.